Because of your generosity, we will take a percentage of your membership to help buy supplies and make quilts to donate to kids via the Heart Builder Network. 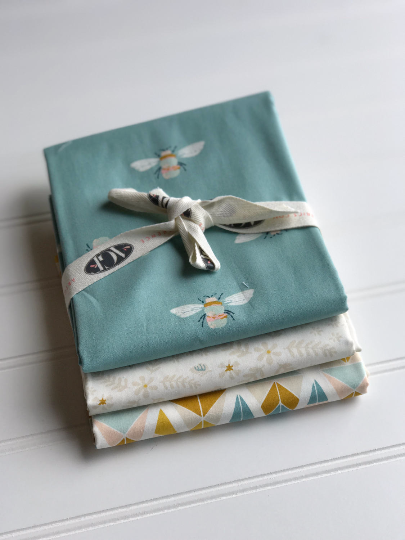 Build your stash and inspire your inner quilter, all while helping improve lives. It's a win win! Fabric customized to your preferences, delivered the 20th of every month! Change your preferences at any time! Fabric customized to your preferences in a smaller "Pop" version! Three 1-yard cuts of fabric from a new and fresh modern fabric collection, plus a spool of Aurifil thread and an exclusive pattern, delivered on the 15th of every month! Fabric from a new and fresh modern fabric collection in a Mini Version! Clues delivered over 10 months, with a surprise assembly key delivered at the end of the mystery. Choose your colorway and solve the mystery!